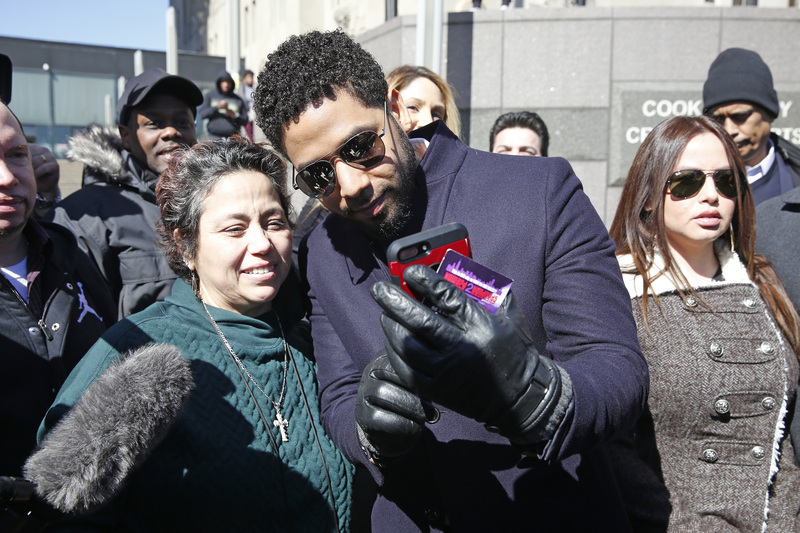 Actor Jussie Smollett’s willingness to fork over his $10,000 bond to the City of Chicago Law Department was a key factor behind prosecutors’ decision Tuesday to drop all charges accusing him of staging a fake hate crime against himself. “There would be no nolle without the forfeiture,” Kiera Ellis, a spokesperson for Cook County State’s Attorney Kim Foxx, told the Chicago Sun-Times. “Empire” actor Smollett, 36, faced 16 charges for allegedly filing a false police reportclaiming that two individuals wearing “Make America Great Again” hats attacked him on the street with a chemical substance and a noose. The office added in a statement to The Daily Caller News Foundation that Smollett’s charges “would not have been dropped” had he not forfeited his $10,000 bond and agreed to do community service. Judge Steven Watkins ordered Smollett’s court file to be sealed immediately after the charges were dropped, according to the Chicago Tribune. First Assistant State’s Attorney Joseph Magats, the prosecutor who reportedly made the final decision to drop Smollett’s charges, said he stood behind the Chicago Police Department’s investigation. The abrupt decision to drop all charges against Smollett was “a kick in the gut,” said Ed Wodnicki, the police commander who oversaw the investigation into the actor. “We wasted time and effort on a reported serious, serious crime, to get to the point that it’s a lie? I want reimbursement. I’m a citizen in the city of Chicago. I want my money back,” Wodnicki said, noting that the $10,000 bond that Smollett forfeited “doesn’t come close” to the cost incurred to investigate the case.